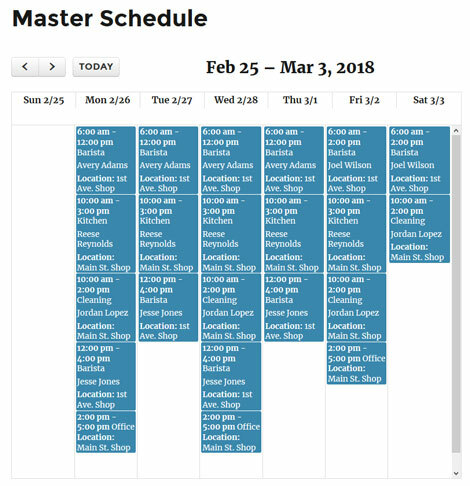 March 25th in Plugin Lists by Wordpress Jedi . Timesheet Attendance Management System: this time sheet WordPress plugin lets you measure working activity of your employees. It has punch in/out functionality. Dynamic Time: a versatile tool that lets you record hours and notes on weekly to monthly schedules. It allows multiple punches per day and takes care of overtime calculations. Shiftee: lets you create a work schedule for staff and display it on your site for your logged-in users. Staff members can click in and out. The plugin can also handle expense and mileage reports. 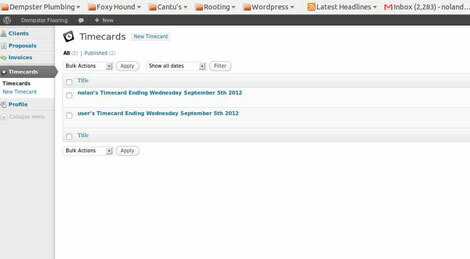 punchIN: this time card WordPress plugin lets you manage employee time cards on your site. Simple create timecard for each employee to start tracking their time. It has simple clock in/out functionality. Which one of these have you tested? Please share your experiences here.